Heraldry developed in medieval Europe, particularly England and France in the 12th and 13th centuries. As a result much of the language used in blazons is derived from old French (or Norman French as used in England at the time). Thus we have terms such as semé [scattered or strewn overall with]. The original purpose of distinctive designs was to identify particular individuals on the battlefield – so it was obviously important to have clearly differentiated shields! For this reason the number of colours used is relatively limited, and they are bright and distinct. Similarly the ways of dividing up the shield are mostly simple, as are the “ordinaries”. 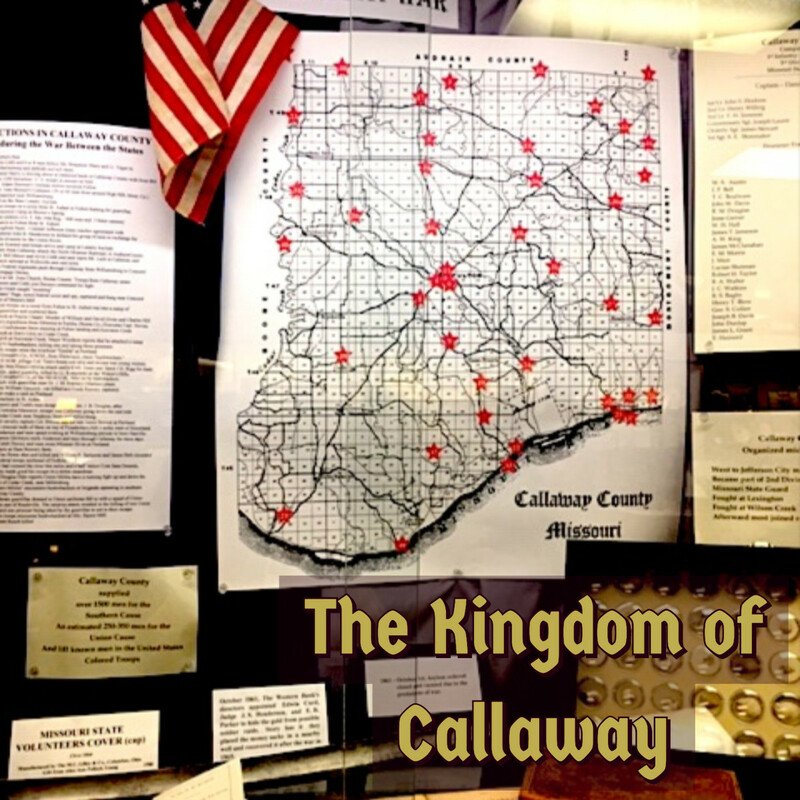 As heraldry developed the rules became more detailed. 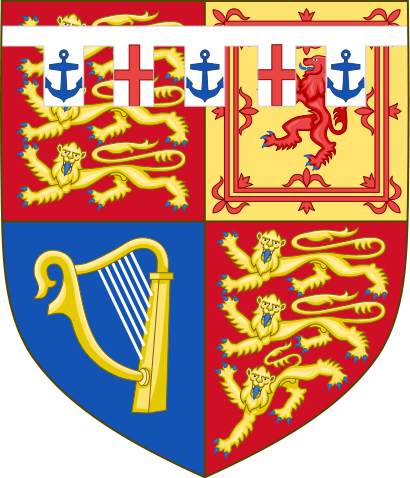 Official bodies were set up to regulate the possession of arms; originally a particular shield was granted to an individual, and it could be passed down through his direct heirs, but only according to a strict set of heraldic inheritance rules. It was not the case that the design belonged to the whole family – so that talk of one’s ‘family crest’ is rather misleading. 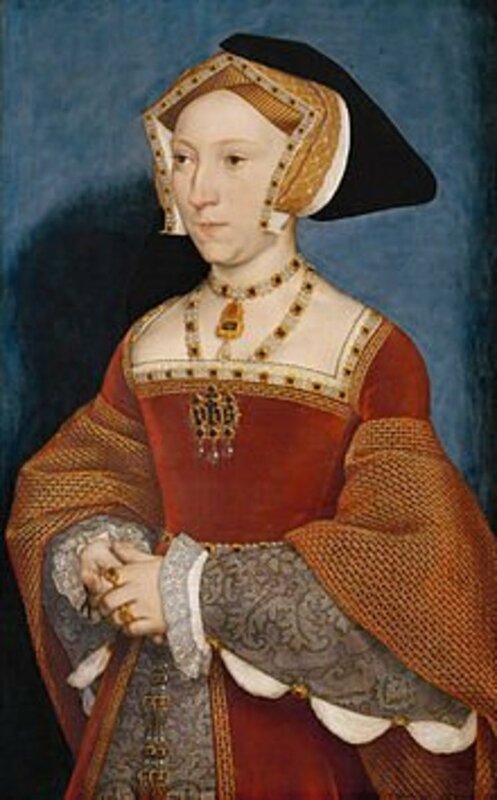 Often the arms of two or more families were combined on marriage, and subsequent generations bore them quartered. The complete “achievement” of arms included the shield, supporters, crest, crown or helm (again strict rules applied to what kind of helmet you were entitled to depending on your rank), motto and badge. In this note I intend to deal only with the shield, often wrongly termed the “coat of arms”: this term really applied to the coloured surcoat medieval knights wore over their armour, as seen for example in effigies and memorial brasses in English churches. In this Hub, we will be examining the shield only of the various members of the British royal family, and I will provide the blazon for each. I should point out that while I have been studying heraldry and the history of heraldry as well as medieval history for more than two decades, I am not an expert. With that in mind, feel free to provide corrections in your comments. But if you do so, please provide sources for your corrections. I will edit this post where appropriate, and with your help it will only get better. 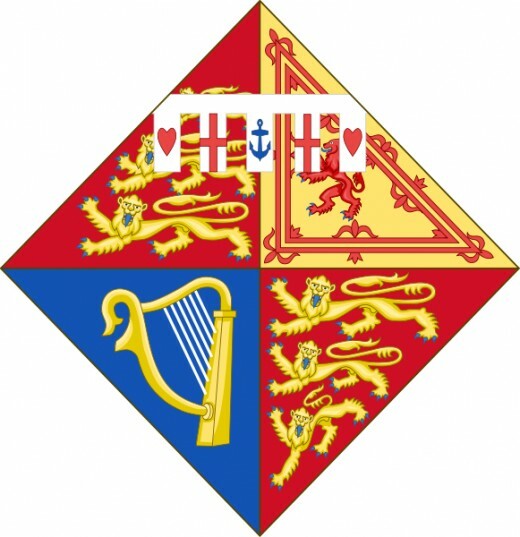 There are a few things you'll probably notice right off: All of the shields of the members of the royal family are built upon the shield of the United Kingdom (pictured to the right). Makes sense, doesn't it? Since they're all members of the royal family of the UK, their personal shields should be based on that one. There are differences, however, so that each person's shield is different from each others. One rather obvious difference is that of shape. The shields of the male members of the family (and, indeed, of men in general) are shaped like... well... a shield. As the above. The shields belonging to female members of the family are diamond shaped (this shape is referred to as a lozenge). However the blazoning of the arms is the same, regardless of the shape of the shield. Rght. I've mentioned "blazon" and "blazoning" a couple of times now. I should probably explain this before moving on. Blazoning is the term used to mean describing the arms in heraldic language, in a concise and unambiguous way. In other words, the shield is divided into four quarters. 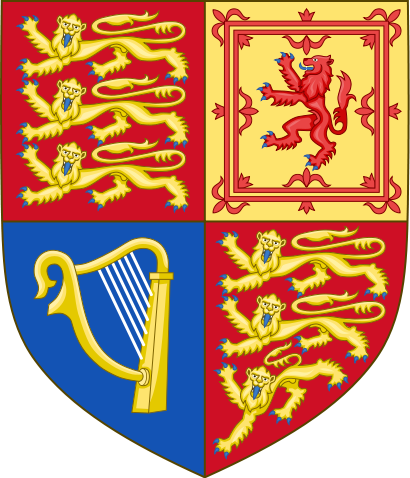 In the first (top left) and fourth (bottom right) there are three golden lions stacked one atop the other with blue claws and tongue (that's the "armed and langued" part) on a red background (the shield of England). Note that those last two are usually referred to as metals, not colours. For a great primer on blazoning heraldry, visit Gill Smith's Glossary of Heraldic Terms. There are two major differences between Charles' shield and that of the UK as a whole: The smaller shield in the middle, and the white thing across the top. Lets look at these. Quarterly Or and gules four lions passant guardant counterchanged armed and langued azure. What this means is pretty simple: It's divided into four quarters. The 1st and 4th are Gold, the 2nd and 3rd are Red. In each quarter is a lion that's the other colour (meaning a red lion in a gold quarter and a gold lion in a red quarter). Each lion has blue claws and tongue. 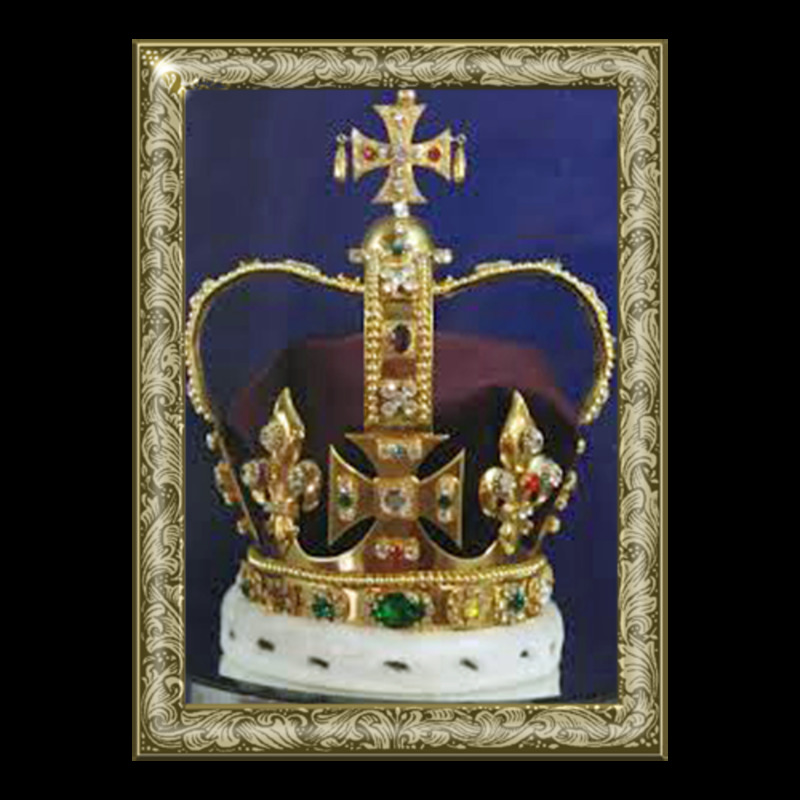 Atop this inescutcheon is a crown which represents Charles' position as Prince of Wales. 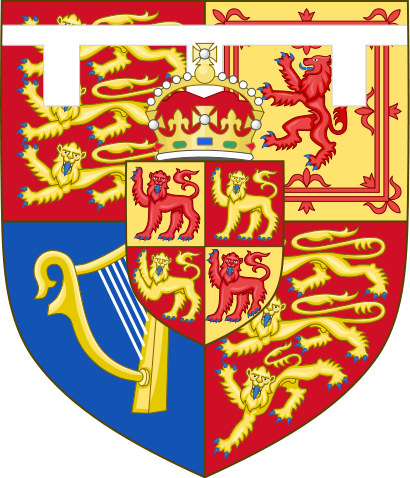 The white thing across the top of the shield is called a label, and labels are used to indicate relation to the sovereign (either child, grandchild or great-grand child). Children of the sovereign (such as Charles) get a label of 3 points (notice how there are three white pieces that seem to hang down from the band of white? Those are the points). Since Charles is the heir to the throne, those points are pure white, with nothing on them. Not so with the rest of the royal family, as we shall see. 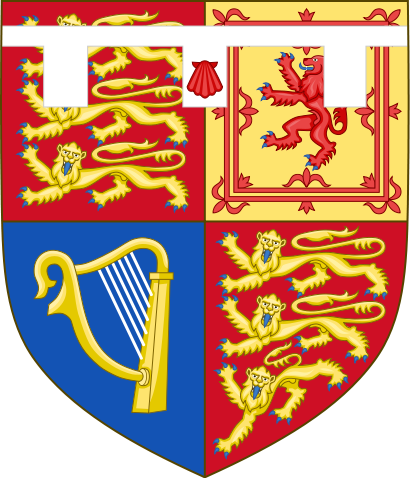 William's arms lack the inescutcheon of Wales (only his father, as Prince of Wales, bears that). They do, however, have a label. Usually, grandchildren of the sovereign bear a label of five points, but the exception to that is to the heir of the heir (if that makes sense). Since William will one day be King, he bears a three point label. What distinguishes his label is the red scallop shell on the center point, which is from the arms of the Spencer family, and represents his mother, the late Princess Diana. However when William's father becomes king, William's label will drop the red scallop shell and be simply three white points, to represent his status as heir. Note that Harry, unlike his brother William, bears a five point label on his shield. 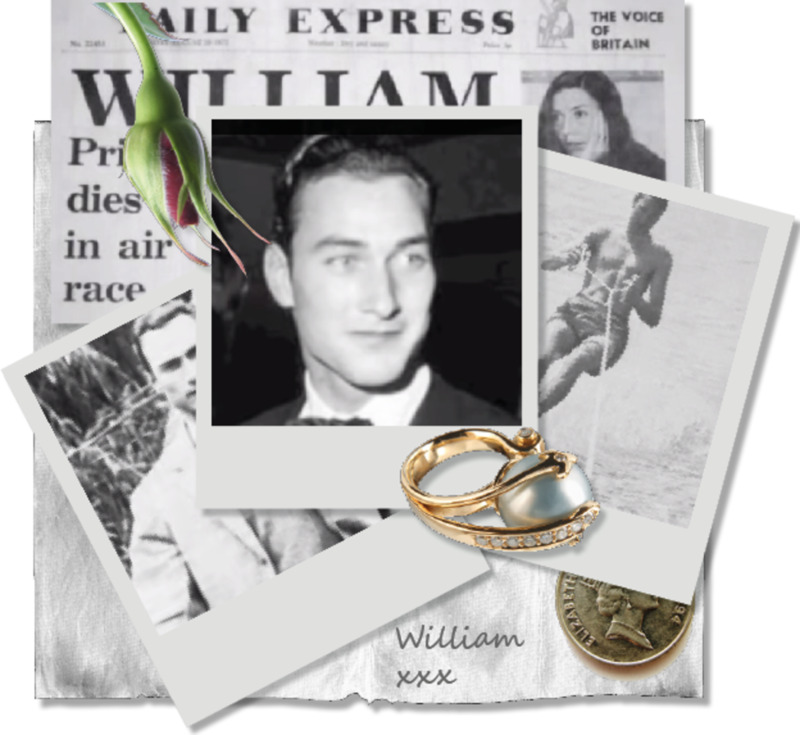 This is because, although both are grandchildren of the sovereign (in this case Queen Elizabeth II), William is the heir to the heir. Barring misfortune, Harry will not inherit the throne. However when his father Charles ascends to the throne, Harry's label will be changed from five points to three to reflect his new status as son of the sovereign. Like William, Harry's label bears red scallops in reference to his mother, the late Princess Diana. Andrew's arms bear the three point label that indicates a child of a sovereign, with the middle point bearing a blue anchor. This represents the time Andrew spent in the Royal Navy, including a tour during the Falkland War between the United Kingdom and Argentina in which the Prince saw combat. The first of the female shields we'll be looking at, you'll note the diamond shape instead of the regular shield shape. And, as the granddaughter of the sovereign (daughter of Prince Andrew) she bears a label of five points. The charge on the 1st, 3rd and 5th points is actually a pun on her name: a bee. Like her sister, Princess Beatrice, Eugenie's shield is diamond shaped and bears a label of five points. When Beatrice and Eugenie's uncle, Charles, becomes King, they will retain the five point label, as they will be grandchildren of the (late) sovereign at that point. The charges on Eugenie's points are thistles, representing her Scots ancestry through the Queen's late mother, Elizabeth. Edward's arms are differentiated from his brother Prince Andrew's solely by the charge on the center point of the label. In Edward's case, this charge is a red Tudor rose, symbolic of the family's descent from Henry VII, founder of the Tudor dynasty which ruled England in the 15th, and early 16th centuries. The only daughter of the sovereign Anne's shield bears a three point label. She has charges on all three points: the first and third bear a red cross, and the second bears a red heart. 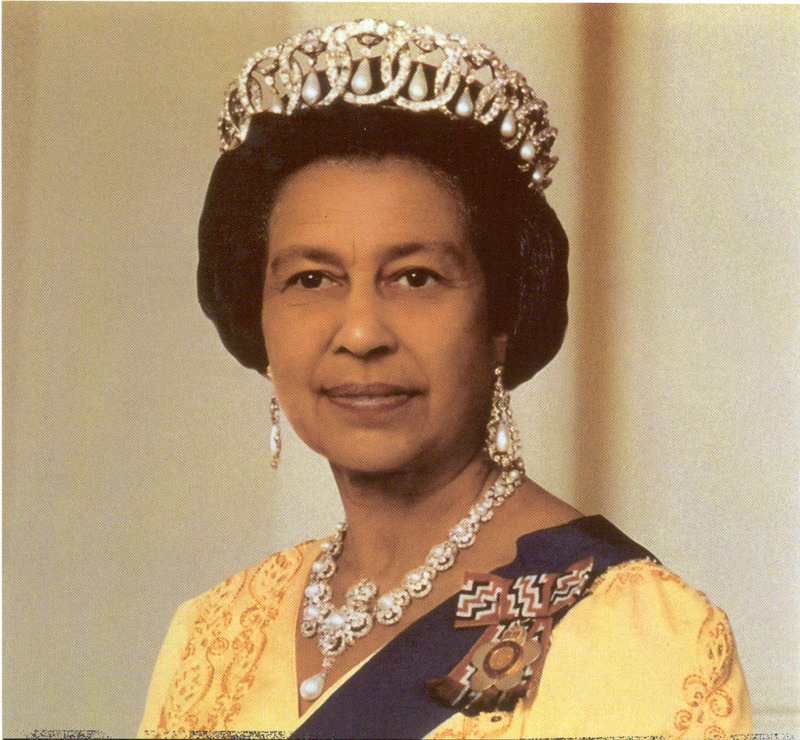 A note on Anne's title, "Princess Royal": Anne is the seventh creation of the title Princess Royal, an appellation given only to the eldest daughter of the sovereign, the last holder being George V's daughter, Princess Mary, Countess of Harewood.There can never be two Princesses Royal at the same time. Thus, after Anne's death, another princess of the Royal Family will be granted this title by whomever the sovereign is at that time, assuming that the sovereign has a daughter. If William has no daughter, the title will not be bestowed. Richard is first cousin to Queen Elizabeth II, and is a grandson of King George V. Thus he is entitled to the royal shield, with a five point label. The charges on his label are a red cross on the 1st, 3rd and 5th points, and a red lion (the lion of Scotland) on the 2nd and 4th points. Note that Richard's children, as great-grand children of the sovereign, are not entitled to bear the royal arms even with a label of seven points. Only children, grand children, and children of the heir to the heir can do so. Another grandson of King George V, and first cousin to Queen Elizabeth II, Edward bears a five point label on his shield. 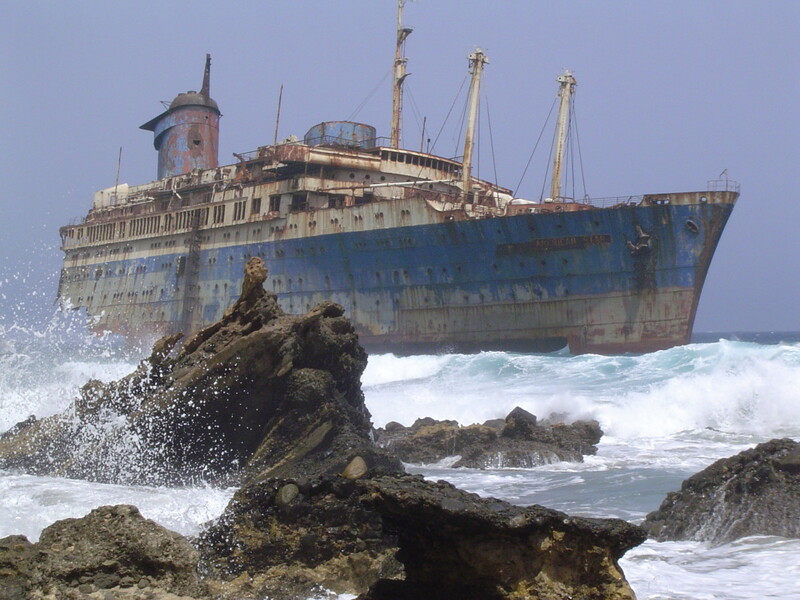 His odd-numbered points bear a blue anchor, and his even ones a red cross. Like Prince Richard (see above), Edward's children will not inherit the right to use Edward's shield and label. the younger brother of Prince Edward, Michael is not a Duke, since Edward inherited that title from their father. However as the grandson of a sovereign (George V), Michael is entitled to use the shield and label that he bears. His label is the opposite of Prince Edwards, bearing the blue anchor on the even numbered points, and the red cross on the odd ones. Sister of Princes Edward and Michael, and thus grand daughter of George V. Her diamond shaped shield bears a five point label bears a red heart on the first and fifth points, a blue anchor on the second and fourth points, and a red cross on the third. I don't have images of these shields, but I can describe them, and will post images of the shields when I find them (I have images of the entire arms (supporters, crest and so forth), but I'm only looking for the shields. Prince Philip, Duke of Edinburgh - Prince Philip was granted arms of his own in 1947, because men are not entitled to bear the arms of their wives. His arms are quarterly Denmark (top left), Greece (top right), and Mountbatten (bottom left), representing his ancestry, and Edinburgh (bottom right), representing his dukedom. Camilla, Duchess of Cornwall - She bears the arms of the Prince of Wales impaled (meaning Charles' on the left and her father's on the right) with those of her father, Major Bruce Shand. Her father's arms are blazoned as Azure a Boar's Head erased behind the ears Argent armed and langued Or on a Chief engrailed Argent between two Mullets Gules a Cross crosslet fitchy Sable. Sophie, Countess of Wessex - The arms of the Earl of Wessex impaled with those granted in 1999 to her father, Christopher Rhys-Jones, and his older brother Theo. Quarterly 1st and 3rd gules, 2nd and 4th azure, over all a lion rampant or. The lion alludes to one of the Countess' ancestors the Welsh warrior Elystan Glodrydd, Prince of Ferrig. Birgitte, Duchess of Gloucester - The arms of the Duke of Gloucester with the arms of her father, Asger Preben Wissing Henriksen (Azure a blue gull, in chief vert four feathers sable crossed in pairs), imposed in an inescutcheon at the center. Katharine, Duchess of Kent - The arms of the Duke of Kent impaled with those of her father, Sir William Arthington Worsley of Hovingham, 4th Baronet (Argent, a chief gules). Princess Michael of Kent - The arms of Prince Michael impaled with those of her father, Baron Günther Hubertus von Reibnitz (Barry of five argent and gules). No; because they would use the arms granted to the head of the family along with normal cadency marks used by non-royals. 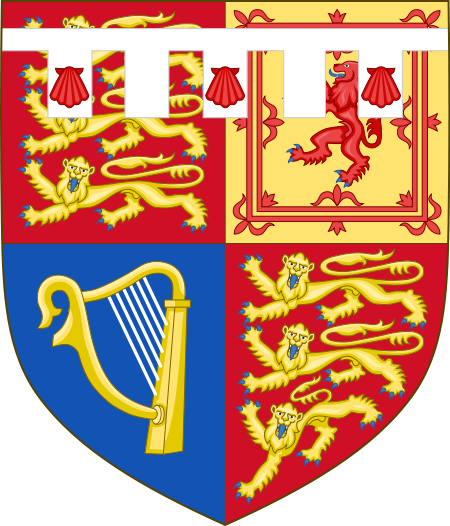 So; for example, the Arms of the Earl of Ulster are those of his father (complete with his father's label) with an additional label of three points. That of Lord Nicholas Windsor is that of his father (complete with his father's label) with a crescent on the point where all four quarters meet, and so on. Hrm. Do you know if they ever adopted (or were granted) cadence marks for their lines and if there are images of such on the web anywhere? I'd like to add that information to this Hub.